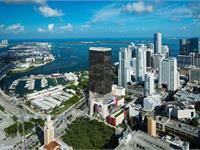 currently in preconstruction at 400 Biscayne Boulevard, Miami. The development is scheduled for completion in 2021. 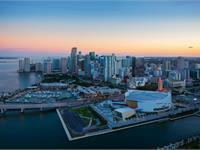 X Biscayne has a total of 646 units. Swaggering into Miami’s humming Downtown (hi X Miami! ), directly across from American Airlines Arena, Bayfront Park and easily connected to anywhere in the city, X Biscayne’s social pulse will define the neighborhood. Stay tuned for details about the lobby market and cafe, bay view pool deck with beach entry pool, performance stage with great lawn, and the usual modern gym and fitness studio, coworking lab, dog park and other treats you’ve come to expect from us. Your inquiry will be delivered to the developer / builder of X Biscayne, who will send you more information about this development.